The violent murder of Fr. Jacques Hamel at the hands of two cowards filled with demonic rage has filled so many of us with a mixture of horror, deep sadness, and anger at the unspeakable injustice of such savage barbarism. Fr. Jacques Hamel was murdered during Mass at the Paroisse Saint Etienne, the Parish of Saint Stephen. Saint Stephen is called the “protomartyr,” that is, the first Christian to be martyred for the faith in the New Testament (Acts 7:54-59). “Jacques,” is the French version of “James,” this priest’s patron saint. The Church celebrated the feast of Saint James the Greater just the day before Fr. Jacques Hamel was murdered. Herod had Saint James beheaded, making James the first of the apostles to be martyred. On the day Fr. Jacques Hamel was murdered (26 July 2016) the Church celebrated the feast of five martyrs: Saint Erastus (1st Century associate of Paul), Saint Hyacinth (martyred ca. 108), Blessed John Ingram (martyred in 1594), Blessed William Ward (martyred in 1641), and Blessed Andrew Phu Yen (called the “Protomartyr of Vietnam,” martyred in 1644). Fr. 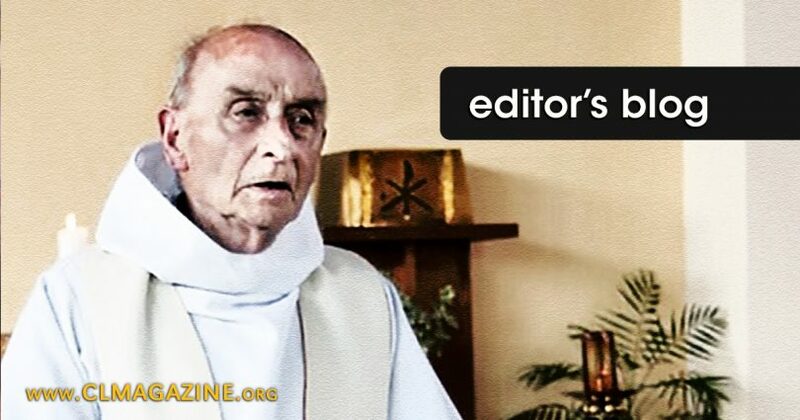 Jacques Hamel’s death has occurred in the context of a long and rich history, but savagely murdering a gentle and elderly priest during Mass remains heinous beyond words. Why does God allow such atrocities? I hope a few points regarding Divine Justice and Divine Mercy will be helpful in understanding. God’s justice is not sleeping. Unrepentant murderers will not escape His Judgment (Matt 5:21-22; Rev 21:8; Rev 22:15). God knows exactly what He is doing by allowing martyrdom. Consider this passage from the book of Revelation: “And when he had opened the fifth seal, I saw under the altar the souls of them that were slain for the word of God, and for the testimony which they held: And they cried with a loud voice, saying, How long, O Lord, holy and true, dost thou not judge and avenge our blood on them that dwell on the earth? […] and it was said unto them, that they should rest yet for a little season, until their fellow servants also and their brethren, that should be killed as they were, should be fulfilled” (Rev 6:9-11). God’s purpose is for evil to run its course so that the triumph of good will be entire and lacking nothing down to the smallest detail. For this to occur, those being saved and those on the road to perdition must exist together for a time in order to maximize the number of those who will be saved. Jesus ends the parable of the wheat and the tares by saying, “Let both grow together until the harvest, and at the time of harvest I will say to the reapers, ‘First gather together the tares and bind them in bundles to burn them, but gather the wheat into my barn’” (Matt 13:30). Saint Justin Martyr, who himself was beheaded in A.D. 165, explained, “The more we are persecuted, the more do others in ever increasing numbers embrace the faith and become worshippers of God through the name of Jesus” (Dialogue with Trypho, 110). History has shown this to be true in many instances. Though it is impossible for us to know all the details right now, we are assured that both Divine Justice and Divine Mercy will prevail. The martyrs play a huge role in maximizing the number of the saved. It is incumbent upon us to pray for the dead (including Fr. Hamel), but considering his life of priestly ministry and the final circumstances of his death (i.e., killed in odium fidei [hatred of the faith] while offering Mass), Fr. Jacques has most likely received the everlasting crown of martyrdom.